February 18, 1933 ~ February 2, 2018: Swede cherished family gatherings and activities the most, but also enjoyed playing golf and cards with his friends, attending sporting events to watch his children and grandchildren, and traveling. Leonard "Swede" Pavlicek, son of Anton and Agnes, was born in Woodburn, Oregon on February 18, 1933. He was the youngest of 4 children: Tony and Ed whom preceded him in death, and Clara Ficek living in Keizer, Oregon. Before graduating from Woodburn High School in 1952, he excelled in football, basketball and track. He was then drafted in the US Army from 1953-55 in which he served in Korea. In 1955, he married Betty Frith on May 21st. They had 5 children: Mark (Cindy), Ted (Angie), Lisa Brow, Kelly Wilson(Wes) and Derek (Lori), 13 grandchildren, 4 great grandchildren, a beloved pet "Kitty," and many nieces and nephews. He lived in St. Paul, Oregon, then moved back to Woodburn for the remainder of his life. He worked for Woodburn Fertilizer for 53 years. 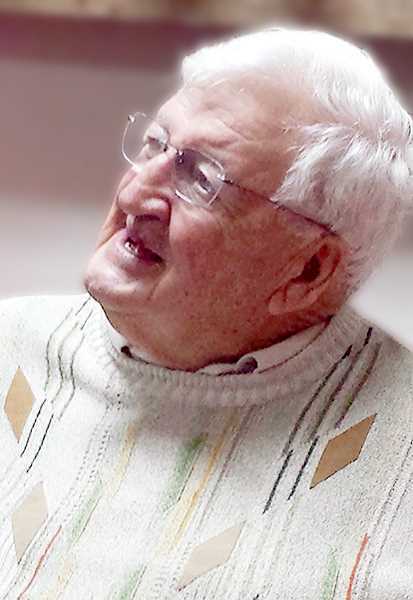 Swede cherished family gatherings and activities the most, but also enjoyed playing golf and cards with his friends, attending sporting events to watch his children and grandchildren, and traveling. He had the pleasure of working with the agricultural community of the Willamette Valley. He belonged to St. Luke Parish, Knights of Columbus, Woodburn JCs, and St. Paul Rodeo Association. Donations may be made to St. Luke Church window repair fund or St. Luke Cemetery. Funeral arrangements made by Simon-Cornwell Colonial Chapel. Please visit and share your memories at www.cornwellcolonial.com.